Episode 158: Who Else Wants to Build a Soccer Club That Represents Their Community? Oakland first, always. More than just a club, more than just a game. Oakland Roots Sports Club seeks to harness the magic of Oakland and the beautiful game of soccer as a force for social good. Whether on the pitch, in the stands or within the community, Oakland Roots will represent our one-of-a-kind city with passion, pride and commitment to all things Oakland. Player by player. Supporter by supporter. Resident by resident. One day at a time. One game at a time. This is about Oakland first, always. That gives me chills. That’s what soccer should be about. It should be about your community. It should be about representing who you are and what you stand for. Soccer should have deep roots. Pun intended. This conversation with Tommy explores a bunch of topics, but specifically his thoughts and feelings about American soccer and the City of Oakland. Connect with Tommy on Twitter. You can also follow Oakland Roots. Hailai Arghandiwal Discusses Life as a Dual National and Says, Dreams Only Matter if They re Rooted in Something Real. Eric Bucchere Opens up About Life as a USL Coach and Helping Unknown Players Turn Pro. This is brought to you by the 3four3 coaching education program. 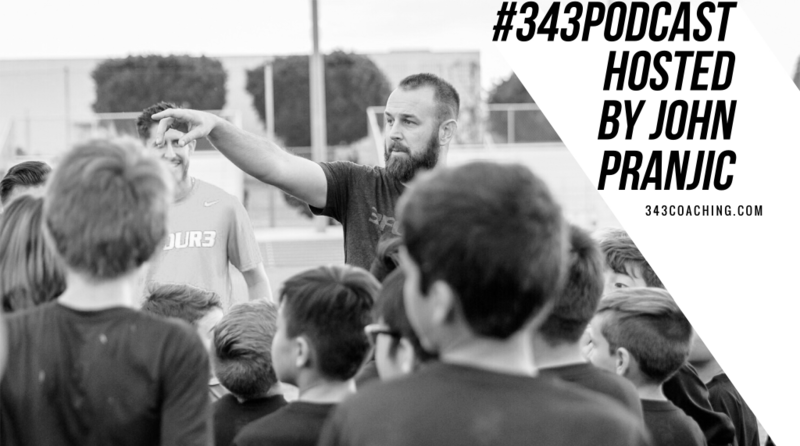 Learn more and join over 400 coaches using our proven possession-based methodology. The post Episode 158: Who Else Wants to Build a Soccer Club That Represents Their Community? appeared first on 3four3.